Looking for some pine cone decorating ideas for your homestead? Add some holiday cheer by filling your home with pine cone decorations! These 20 pine cone decorating ideas are very easy to make. You can create lots of these in no time at all. There’s an ornament for your Christmas tree, a centerpiece for your mantel and even gifts for your loved ones. Continue reading and get some inspirations. It’s raining pine cones in our yard and I just don’t know what to do about them. I didn’t think it would be a good idea to throw them out so I consulted Pinterest and other sources for something creative and voila! Here’s a round-up of pine cone crafts and decor you can start making today. 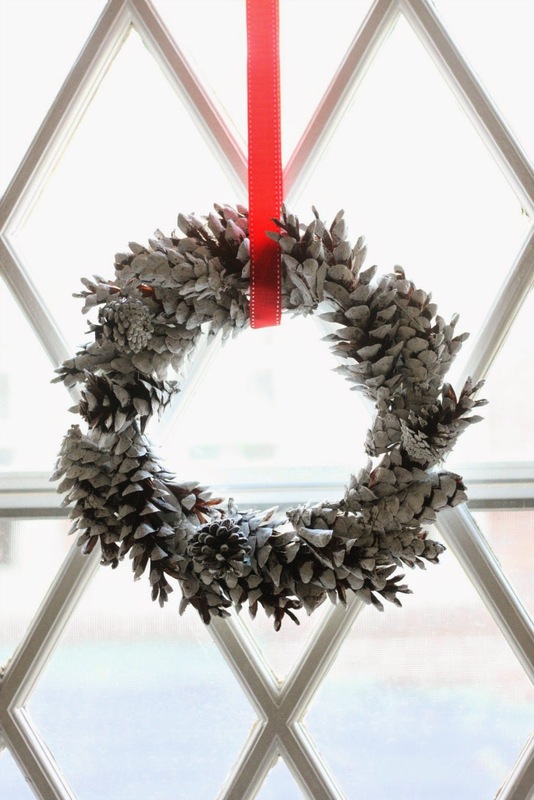 If you want to have your home ready for the holiday and put those pine cones to good use, then I suggest you continue scrolling. An easy DIY garland you can make from pinecones. Just grab some paint to make it look even better. This is a very relaxing project that you can do with your kids and in no time you will have a super cute DIY painted pinecone garland. Any kid will love to have and play with these adorable little fireflies. My grandkids and I will surely have a blast collecting what is needed for these amazingly cute pine cone fireflies. Can’t wait to see their faces once I show them what’s our next holiday decorating project. It doesn’t have to be spring to make these lovely faux spring flowers out of pine cones. Make these wonderful spring flowers flourish in your homestead this holiday and you will surely have a lovely display that makes an impression. Meet cute Rudolph! 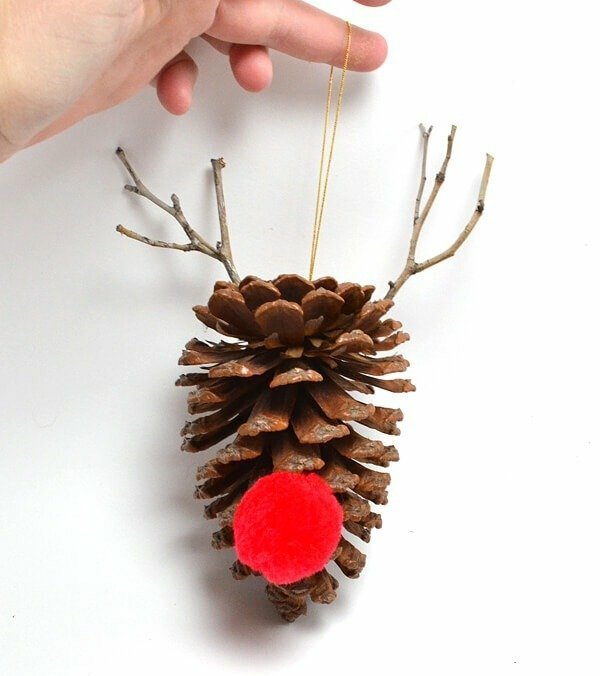 This simple DIY pine cone ornament shows a lot of character. Just add some twigs and a red nose! Chalk paint will work wonders in making this homemade wreath. These chalky pine cone wreaths will surely fill my empty windows this holiday. Want to go all natural for holiday decorating this year? Don’t miss these super easy yet super merry pine cone ornaments. A DIY centerpiece you can make from all natural supplies. With the right supplies, you can definitely make this in just 5 minutes! Make your Christmas extra merry with this head turner DIY Christmas centerpiece. How many elves do you want? So cute, I could probably make a dozen or two, to have pine cone elves in each corner of my homestead. Don’t have time to get a life-size tree? Then I’d recommend making these mini pine cone trees instead. You can have more than one to fit the size of your wants. In case you have a little more time for a DIY wreath, then this 40-minute grapevine holiday wreath is the project you should make. So pretty I’m not sure why anybody would not want to make this! This pine cone topiary will surely become the focal point for your holiday decorating. While you’re out picking pine cones, pick out some twigs as well for this DIY twig and pine cone wreath. A wreath worth giving and keeping, so you surely have a purpose making 2 of this beautiful DIY wreath. Shabby chic lovers rejoice! This is the pine cone decor ornament for you. You’re not gonna be wasting precious time creating this Christmas bow with pine cone because it’s amazingly beautiful and romantic. Aren’t they the cutest. No actual tutorial but you can try slicing a pine cone in two and drawing the faces and paws with Sharpie. Don’t be fooled these aren’t real zinnias, they’re made out of pine cones. Have a bowl of these faux zinnia flowers and raise envy brows of you guests. Just when you can’t think of anything else to decorate your home with, try this wintery terrarium. A terrarium is the perfect way to bring natural colors indoors. In case zinnias aren’t your thing, these DIY flowers may be for you. The earthly hues of these lovely pine cone flowers will make your holiday even more special. Need some elegance in your home, try this pine cone decor idea. It gives its name real justification: simple, organic, and festive holiday tablescape. Make your home look good and smell good at the same time with these DIY scented pine cones. I’m sure your not gonna ask for more if you get both scent and holiday decorating you’ve of been dreaming off. It’s that wonderful time of the year to add a nice touch to your chandelier or light fixture. Hang a couple of painted pine cones to your chandelier or light fixture to have a woodsy lighting that is sure to impress. Pine cones come in different sizes and shapes. With natural abundance and beauty they surely are ideal for winter decorating. So grab your basket and gather pinecones and have them excite you! What do you think of these pine cone decorations? Will you give it a try? Let me know in the comments below. Theses are great ideas, Thank You. When I clicked on How to make Faux Zinnia Flowers, it took me to a different site. It would not let me cancel on subscribing. I left the site. I do not want every person or site having access to my email. They all just fill the box. So I guess I wont make these with my Mom. She has Alzheimer’s and I thought that would have been a fun and nice activity.